God can only be known by means of a supernatural revelation of Himself. Apart from the Scriptures, even a theoretical acquaintance with Him is impossible. It still holds true that “the world by wisdom knew not God” (1 Cor. 1:21). Where the Scriptures are ignored, God is “the unknown God” (Acts 17:23). But something more than the Scriptures is required before the soul can know God, know him in a real, personal, vital way. This seems to be recognized by few today. The prevailing practice assumes that a knowledge of God can be obtained through studying the Word, in the same way as a knowledge of chemistry may be secured by mastering its textbooks. An intellectual knowledge of God maybe; not so a spiritual one. A supernatural God can only be known supernaturally (i.e. known in a manner above that which mere nature can acquire), by a supernatural revelation of Himself to the heart. “God, who commanded the light to shine out of darkness, hath shined in our hearts, to give the light of the knowledge of the glory of God in the face of Jesus Christ” (2 Cor. 4:6). The one who has been favoured with this supernatural experience has learned that only “in Thy light shall we see light” (Psa. 36:9). God can only be known through a supernatural faculty. Christ made this clear when He said, “Except a man be born again, he cannot see the kingdom of God” (John 3:3). The unregenerate have no spiritual knowledge of God. “The natural man receiveth not the things of the Spirit of God: for they are foolishness unto him: neither can he know them, because they are spiritually discerned” (1 Cor. 2:14). Water, of itself, never rises above its own level. So the natural man is incapable of perceiving that which transcends mere nature. “This is life eternal, that they might know thee the only true God” (John 17:3). Eternal life must be imparted before the “true God” can be known. Plainly is this affirmed in 1 John 5:20, “We know that the Son of God is come, and hath given us an understanding, that we may know Him that is true.” Yes, an “understanding,” a spiritual understanding, by new creation, must be given before God can be known in a spiritual way. 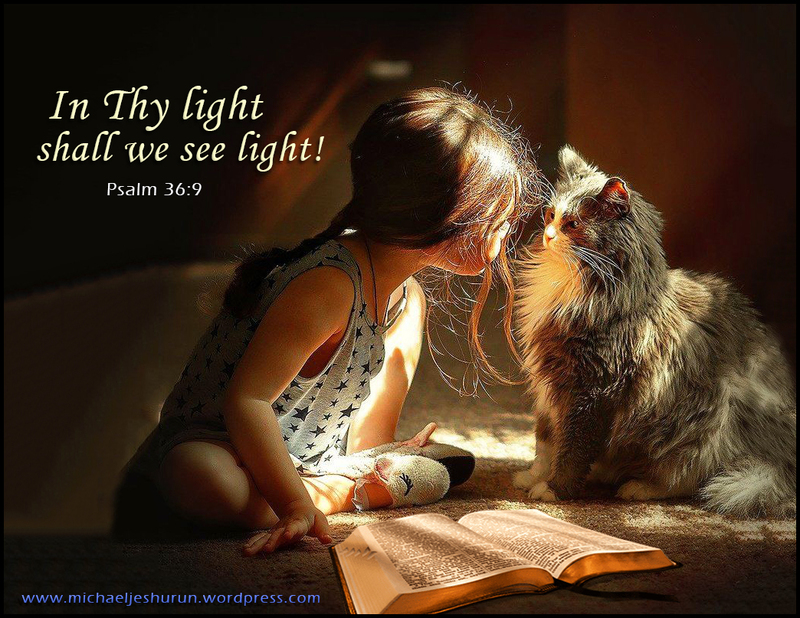 If God has revealed Himself to you dear reader, He has given you a sight of yourself, for in His light we “see light.” A most humbling, painful, and never-to-be-forgotten experience this is. When God was revealed to Abraham, he said, “I am but dust and ashes” (Gen. 18:27). When He was revealed to Isaiah, the prophet said, “Woe is me for I am undone, because I am a man of unclean lips” (Isa. 6:5). When God revealed Him-self to Job, he said, “I abhor myself, and repent in dust and ashes” (Job 42:6)—note, not merely I abhor my wicked ways, but my vile self. Is this your experience, my reader? Have you discovered your depravity and lost condition? Have you found there is not a single good thing in you? Have you seen yourself to be fit for and deserving only of hell? Have you, truly? Then that is good evidence, yea, it is proof positive that the Lord God has “found” you. This one touched me deeply, Mike, and I not only agree most wholeheartedly with Pink here, I have also experienced what is described as well. God truly does reveal Himself to ones He has chosen, and these are blessed beyond measure. I thank God for His grace to a worthless sinner like me.